Being Frugal and Making It Work: Finding a Healthy Balance ~ Staying Active and Healthy in the Winter! 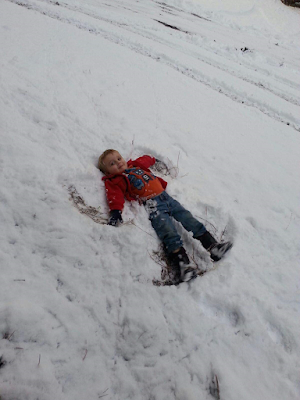 Finding a Healthy Balance ~ Staying Active and Healthy in the Winter! A special thanks to the Dr Pepper Snapple Group for partnering with Being Frugal and Making it Work for today’s post. All opinions are my own. With every new year comes new promises, new choices, and New Year's Resolutions. Finding the balance between everything that life throws your way can prove to be a challenge. Healthy living depends on balance, balancing the calories you consume through food & beverages with the calories you burn through physical activity. Instead of making resolutions (that I probably won't end up keeping), I try to strive to make better choices each day, even if it's just one. Something as simple as choosing to drink a glass of water with a slice of lemon in or walking to check the mail instead of driving. We’re faced with the reality that kids and young people aren’t given the same opportunities to burn the calories they consume through daily physical activity. Did you know that sugar-sweetened soft drinks are unique contributors to obesity but only 7% of the average daily caloric intake is from soft drinks. Check out LetsClearItUp.org to learn more about facts vs myths... you might be as surprised as I was! As part of industry-led initiatives with the beverage industry, DPS took full-calorie beverages out of school voluntarily through the School Beverage Guidelines, which have reduced the calories in beverage shipments to schools by more than 90%. 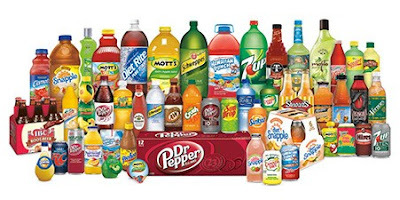 Which Dr. Pepper Snapple Group beverage is your favorite? Finding and keeping a healthy balance is important!